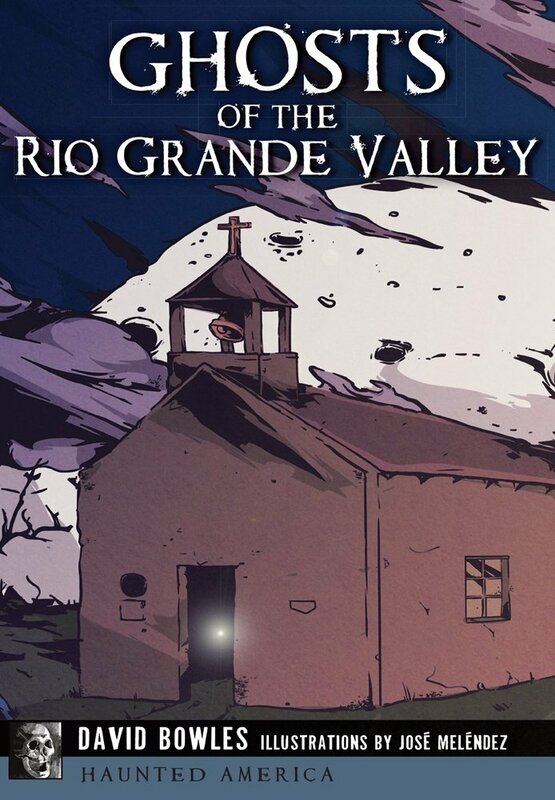 Ghosts of the Rio Grande Valley is now available for pre-order! Part of the Haunted America series from The History Press, my latest book features seventeen harrowing hauntings from deep South Texas, each accompanied by illustrations by José Meléndez and photographs by Alexis Tran. Tradition meets tragedy in the chilling local lore of the Rio Grande Valley. Hidden in the dense brush and around oxbow lakes wait sinister secrets, unnerving vestiges of the past and wraiths of those claimed by the winding river. The spirit of a murdered student in Brownsville paces the locker room where she met her end. Tortured souls of patients lost in the Harlingen Insane Asylum refuse to be forgotten. Guests at the LaBorde Hotel in Rio Grande City report visions of the Red Lady, who was spurned by the soldier she loved and driven to suicide. Author David Bowles explores these and more of the most harrowing ghost stories from Fort Brown to Fort Ringgold and all the haunted hotels, chapels and ruins in between.